It’s really a subtle form of torture not eating crab. I love crab. There is nothing else that has the succulent fibrous texture of those sweet lumps of white. When my family moved to the Northwest from Minnesota decades ago, we went from thinking fish sticks were seafood to celebrating Christmas Eve dining on the delicious delicacy of fresh Dungeness crab. Those were the days! We loved the adventure of dining on this new, strangely armored seafood that looked more like a transformer robot than Yuletide dinner. Since every mallet, hammer and pliers in the house was needed to crack them, you can imagine the chaos with six kids. Alas, over the years I eventually developed an ironic allergy to crustaceans and now I only have visions of those crab legs dancing in my head. Those dancing crab are actually quite graceful in an odd sort of way (imagine a lovely ballerina wearing combat gear). They walk sideways or forward on their four sets of legs, but always on pointed toes! Plus they have two sharp claw appendages that I recommend you stay away from — unless you are ready to eat. And eat as much of this delicacy as you wish, because if you are trying to cut down on calories, Dungeness crab is definitely your ally. Imagine this, there are only 120 calories in 7 ounces of crab. It is composed mostly of protein with hardly any fat or carbohydrates. Crab is also rich in important nutrients especially minerals, such as zinc (for immunity), copper (for bone and tissue health), calcium (for even more bone health), magnesium (for bones and cardiovascular health) and iron (for energy and blood cell support). It also contains selenium (an antioxidant that protects cells from damage) and my favorite nutrient, omega-3 fatty acids (to help stave off inflammation). Dungeness crab is so local that it owes its name to the first fishery established in 1848 on the West Coast in the town of Dungeness, Washington. Since this species of crab was its primary catch, they named it after the town. The town itself was named by Captain George Vancouver, who after finding the area in 1792, wrote, “The low sandy point of land, which from its great resemblance to Dungeness in the British Channel, I called New Dungeness.”* If you visit the area, hike all the way to the tip, where a lighthouse keeps guard since 1857. Of additional importance, is the fact that this same Dungeness crab fishery is considered very sustainable today and that is definitely a good thing. 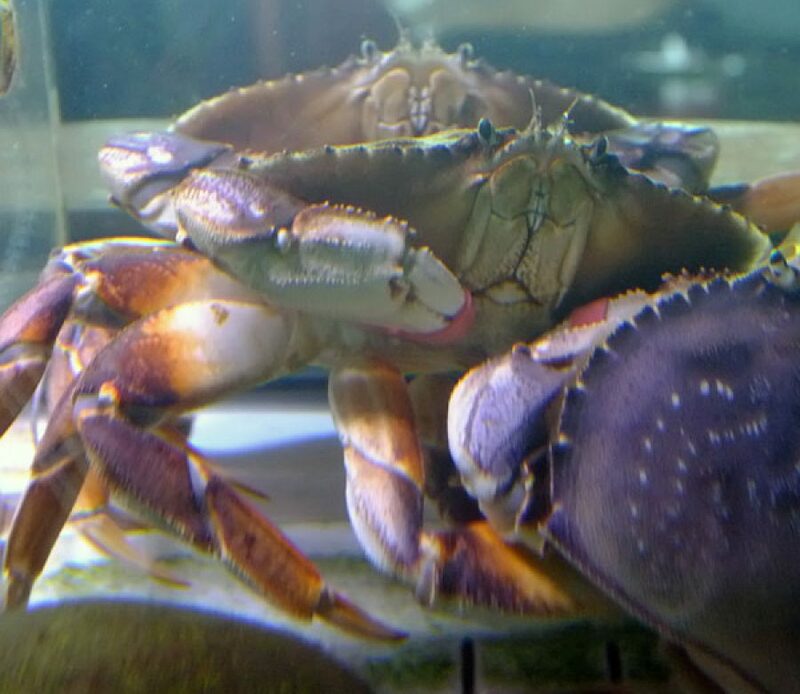 Unfortunately for me, I cannot sustain this delicious delicacy so when you stop by Salty’s and order crab this December, or cook it yourself with Chef Jeremy’s recipe Butter-Roasted Dungeness Crab, please have a bite for me.